The first task was to map the existing systems to identify any unknowns, categorise the data used and how this data is shared. Next, a review of the business processes was undertaken to re-engineer them to gain consistency, simplification and efficiency across J & E Hall’s group. In addition to the normal complications and risks associated when implementing a new ERP system, J & E Hall had the additional challenge of needing to standardise its different working practices across all company sites. The legacy ERP system is over 15 years old and does not provide much of the functionality that modern ERP solutions offer out-of-the-box. Therefore, they had organically grown separate systems that compensated for the lack of functionality in their existing ERP system to ensure the company maintained its position as a leading global supplier in the refrigeration, heating, ventilation and air conditioning industries. Prior to rationalising the business processes, J & E Hall first needed to identify the systems in place; not just the centrally administered systems but also systems that were distributed across the organisation. We used our information mapping methodology to identify and report on the systems and data held in each system. Underpinning the investigation was formal project management to ensure appropriate project controls, planning and communication were in place. We used interviews and workshops, working closely with our client at their various sites to identify any critical desktop based systems. A systems catalogue was built, which identified each system, its type, the business unit and outline process that use it and a summary of the data held in each. In addition, each system was given a rating for its criticality. It was important for future phases that each system was categorised by whether it would be replaced by the new ERP system and, if not, whether integration with the new ERP system would be required. We linked the systems catalogue to the systems map so it’s easy to update and made the data much more accessible for J & E Hall to review and analyse. 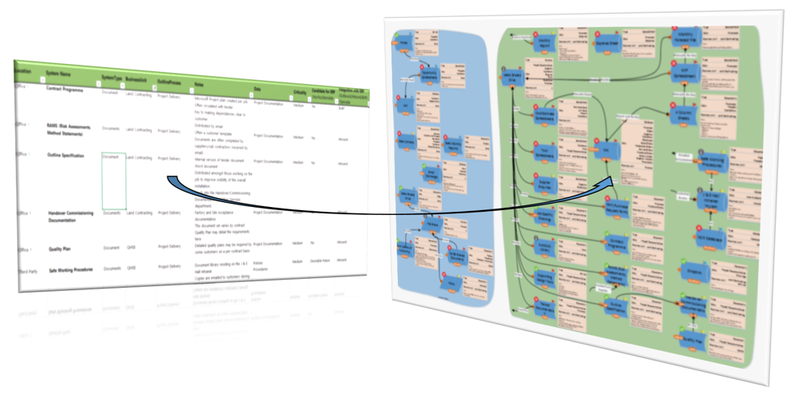 The systems mapping exercise completely reviewed at a detailed level both the systems that are managed centrally and those outside of central management. In total, 443 systems (including desktop systems) were identified during the review. It is expected that 70% of the systems which were identified during the review will be replaced by the ERP system. Our client is now better placed to use the information classified in the systems map and systems catalogue when identifying and rationalising their business processes to help ensure that the implementation of the selected ERP system is a perfect fit for the organisation. As J & E Hall had already carried out a high-level business process mapping exercise in order to select their chosen ERP system, this was used as a foundation to build on. The first step was identifying process owners which was important as the organisation was spread across 14 different business locations. The process owners were chosen based on their influence in the Group, their ability to understand the business processes and willingness to question what they currently do. 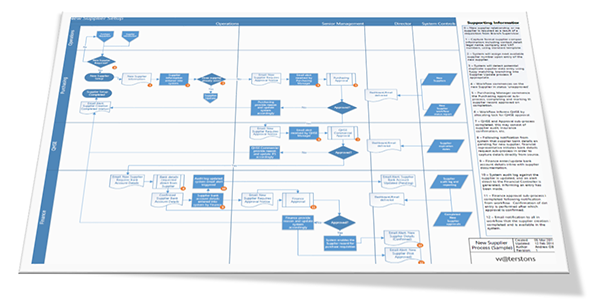 Detailed process maps were drawn up through workshop sessions with process owners and key individuals across the Group. Initially the maps showed the overall process at the company level, then drilled down into the details. Once completed, the business processes were examined and improvements identified. In addition to this a process-rationalisation exercise took place, so wherever possible each company in J & E Hall’s Group would be using the same process in order to make the ERP implementation simpler. By exploring their current processes and challenging where different business processes exist, our client will benefit from streamlined processes which the new ERP system will model. Processes that are currently run manually can be systemised. This will reduce duplication of effort and allow J & E Hall more options in the future to consolidate other operations, such as purchasing. Through improvements in storing process-led data, our client can be more reactive to changing circumstances and be in a position to provide more value-add services to their customers. The ability to have a more strategic approach to resource planning and stock and production visibility will help J & E Hall to quickly respond to customer requirements. Shared CRM capabilities will allow them to measure outcomes from business development opportunities (e.g. trade shows and exhibitions) and direct their attention to what works in the market. Reporting is key to any organisation and our client is no exception to this. 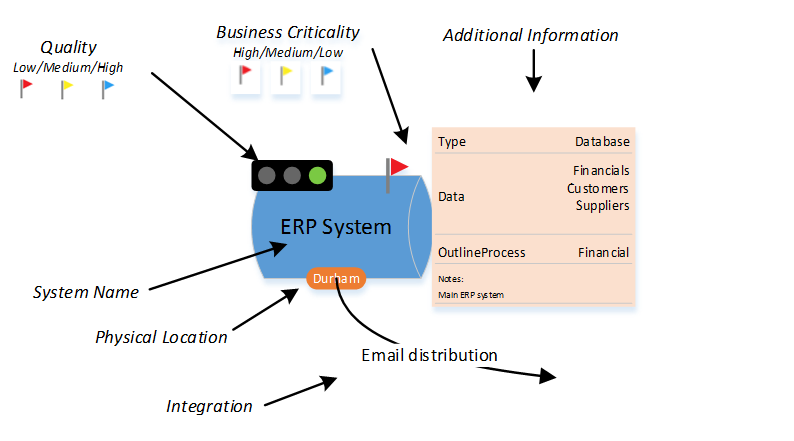 The primary raison d’être for an ERP system is to collect data for reporting on the progress and results (operational and financial) of processes. Month-end and management reporting is expected to be improved, with a single version of the truth and appropriate KPIs which help to accurately measure performance. The project involved many business process changes. Some of these changes may not have been perceived as more efficient as they would only benefit business functions outside of the affected team. To mitigate this it was important to choose the right process owners and to have open and regular communication with the project team, the organisation as a whole and other stakeholders. Finally, support from senior management within the organisation helped ensure people were behind the process and understood the reasons for it. The project required a lot of input from our client’s staff, who have their own jobs to carry out. J & E Hall’s staff handled this challenge extremely well and worked extremely hard to ensure the project was properly resourced. Empathy was required from all, including senior management. On a practical level, the project was planned with breaks at regular intervals. This allowed staff to catch up on their business as usual activities and also plan holidays. General Data Protection Regulations (GDPR) – A spooky tale for Halloween? What is Business Intelligence and what can you do to progress your BI maturity? Clair Hillier takes a look at the benefits of hack days and shows how they can help you solve problems, foster better and more creative working partnerships and even help you see failure as a success.